What to look for when judging the energy efficiency. 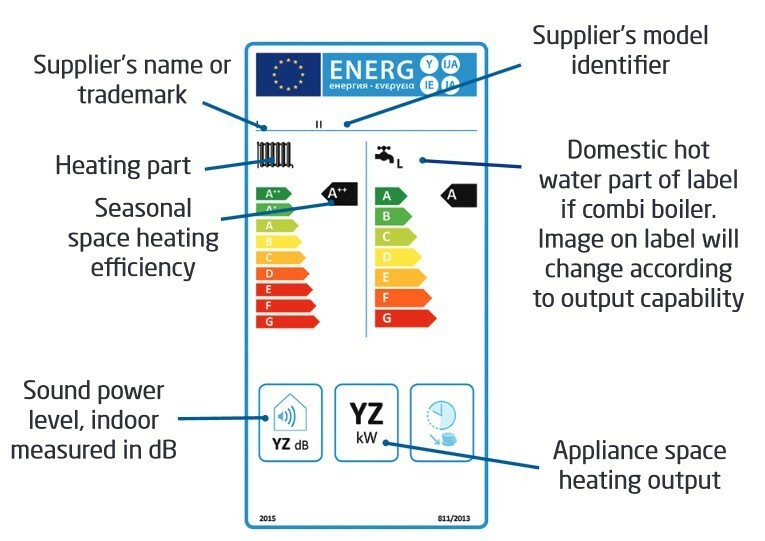 In order to make it easy to identify your Boiler Efficiency a system was introduced whereby an appliance would get an alphabetical & colour coded rating (similar to those you see on washing machines & fridges). The grades ran from Green with “A” as good and to Red with “G” as not so good. 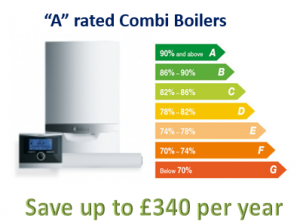 You will find it referred to as the SEDBUK rating and that stands for Seasonal Efficiency of Domestic Boilers in the UK – and bases its rating on “typical domestic conditions” of use in the average UK household. However, from September 2015 this is being replaced with a new labeling / rating from the EU called The Energy Related Products Directive (ErP). This is in fact good news because the latest energy labels guide consumers to more energy efficient appliances that in turn reduce running costs, not forgetting lowering the Carbon Footprint. The Boiler manufacturer has the responsibility to make sure their appliances are compliant, but the installers will have responsibility for labelling the heating system that gets installed in your home as a whole. All labels will be from A++ to G & colour coded Green to Red.